The BDA has not provided basic civic amenities, like asphalted roads, drains, sanitary etc. 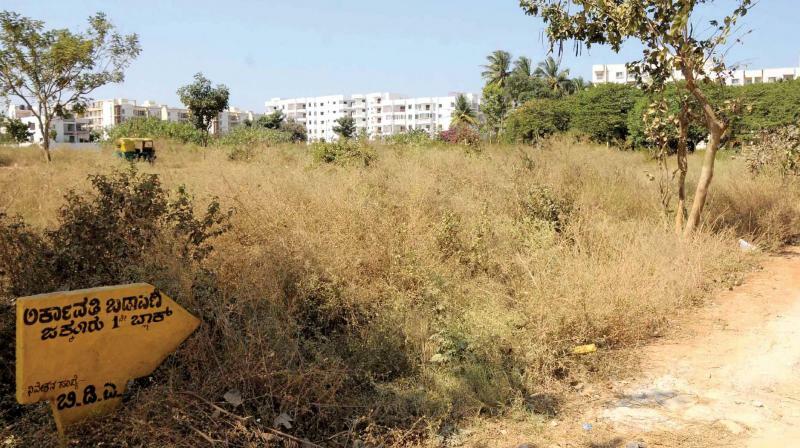 BENGALURU: The Bangalore Development Authority’s recent announcement that allotment of sites will be cancelled if no construction takes place even after five years of possession has been criticised by citizens and members of the Arkavathy Layout Allottees’ Association (ALAA). Officials point out that the authority has the powers to cancel the allotments under Section 13(7) of the BDA (Allotment of sites) Rules 1984. But ALAA Secretary Sanjya Marlecha said that the BDA itself has violated rules and has not obtained the approvals of Town Planning and Urban Development Departments while forming the Arkavathy Layout. The BDA has not provided basic civic amenities, like asphalted roads, drains, sanitary, water and power connections. When such is the condition, on what guarantee should the allottees construct houses, he asked. Even the layouts formed earlier by the BDA face severe lack of amenities. Visveswaraya and Banashankari extensions are some of the layouts that need amenities and water supply, he said. “Usually, allottees get sites only on their fifth or sixth attempt. By the time they get physical possession of the site, they would have reached their age of retirement. Availing a loan is also tough task at that age. The BDA must fast track allotment of sites, before imposing such clauses,” Mr. Marlecha said. Citizens’ Action Forum (CAF) General Secretary N. Mukund felt that the BDA does not have any moral right to fix a deadline for citizens to build houses in the allotted sites, unless civic amenities are provided at all layouts. It is the basic duty of the civic body to provide basic amenities, like roads and sanitary facilities, said Mr. Mukund.